Dr Ida Rolf originally called her unique form of bodywork therapy “Structural Integration” when she developed it over 60 years ago. For several decades it was known by the nickname “Rolfing”, a term that arose during Dr Rolf’s development of the method at Esalen Institute in California. When the residents and visitors there received her treatments they described it as being “Rolfed” rather than Structurally Integrated. Then a whole generation of people trained by her became known as “Rolfers” and the names – verb, noun and adjective – stuck. However, these days the term Structural Integration, practiced by Structural Integrators, is becoming more widespread. There are many graduates of schools certified by the International Association of Structural Integrators (IASI) including SI Australia, my Melbourne based training. It appears that 100 years after Dr Rolf received her PhD in bio-chemistry from Columbia University and used it as a springboard into a lifetime's exploration of working with fascia and human movement, the work she developed is here to stay. So just what is it that this remarkable woman conceived of? Through personal exploration and academic knowledge, Dr Rolf developed the insight that the earth’s gravity exerts a continuous influence on the balance of the body, locking into place any of the distortions caused by injury, poor posture or post surgical scarring. Systematically manipulating the pliable connective tissue, known as fascia, held the key to structural re-balancing and from this a more aligned, energised person would emerge. These soft-tissue mobilisation techniques realign the body so that it returns to its natural posture. This is accomplished through what has become known as the "Ten Series". Each session in this series works on a specific part of the body to systematically release the accumulated stiffness and stress in that area. The posture is progressively rehabilitated from the constrictions caused by injury, poor postural controls, overuse and emotional tension. 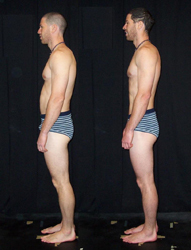 As the series progresses the natural postural controls return and “standing up straight” becomes the normal state. Balance between the inner core and the outer sleeve is re-established with an accompanying increase in vitality and vigour. As the body moves away from the debilitating effects of muscular imbalances with their associated tension and pain, movement becomes more fluid and effortless. This ease in movement shows up in every day activities as well as in sports and the performing arts. A number of well-known sports people and dancers credit Rolfing with enhancing or extending their careers. As well as being a manipulative therapy that restores natural movement and posture, Structural Integration has an educational component. Dr Rolf realised quite early on that the changes that the therapist brought about in her clients would go deeper and last longer if they changed their habits of body use. These days Structural Integrators frequently give tips during sessions on how to prevent re-injury, stretch more dynamically and replace old habits of slumping or over-efforting. The evidence is now compelling that good therapy and movement education do in fact help make long lasting changes to posture, pain reduction and performance. Over the decades, Structural Integration has moved from being an alternative therapy that enjoyed a reputation for helping people feel more balanced and grounded, particularly when other approaches had failed to provide a solution, to a recognised methodology that rehabilitates patients with long standing soft-tissue and postural restrictions. Tom Findley, MD, PhD and Certified Advanced Rolfer, is Associate Director for Research, War-Related Illness and Injury Study Center, at the East Orange VA Medical Center in New Jersey. This center is designed to specifically serve veterans with medically unexplained fatigue and pains, and has highly specialized equipment to measure balance. Findlay’s researchers have found subtle balance problems in many veterans with unexplained pains as well as in persons with chronic fatigue and fibromyalgia. Dr. Findley did a case study with his clients who have myofascial pain, including some who have chronic fatigue or fibromyalgia. He measured their balance before and after the Structural Integration using balance measurement tests. Everyone who had a balance problem improved after the Structural Integration. If you ask a New Yorker how to get to Carnegie Hall they’ll most likely answer “practice, practice, practice”. Renowned concert pianist Leon Fleisher, who made his Carnegie Hall debut at 16 years of age, had done just that and through a grueling schedule of practice, practice, practice and performance developed a debilitating over-use syndrome. This led to the loss of use of his right hand and a frustrating decade of teaching, conducting and performing pieces for the left hand. 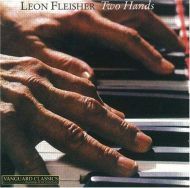 After exploring dozens of diagnostic and therapeutic avenues in an attempt to return to two-handed playing, Fleisher discovered Structural Integration. 10 months later, after receiving many treatments from Advanced practitioner Tessie Brungart, Fleisher made a triumphant return to Carnegie Hall and has since returned to touring. In early 2009 he released to critical acclaim his first CD in twenty years. Brungart was subsequently invited to present her work to the National Institute of Health. Clinically, the largest group of people to benefit from Structural Integration has some type of myofascial pain such as a bad back or neck, general stiffness or non-inflammatory arthritis. It is also associated with good outcomes for specific conditions such as scoliosis, cerebral palsy and post-surgical scarring. In a future article we’ll look at the application of Structural Integration with children. Michael Stanborough, MA, graduated from the Rolf Institute in 1982. He has over 30 years experience and has worked in a variety of clinical settings including the Colorado Back School and Austin Pediatric Services. Michael currently divides his time between private practice in Melbourne and teaching throughout Australia, North America, Asia and recently, Africa.